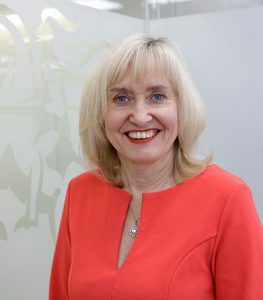 Professor Jenny Higham is Principal of St George’s, University of London. She took up appointment on 2 November 2015. She is also the first female Chair of the Medical Schools Council, a position she was elected to in August 2016. Prior to St George’s she was Head of Undergraduate Medicine at Imperial College London in 2006- 2009 and subsequently promoted to Vice Dean for Institutional Affairs and Director of Education for the Faculty of Medicine. She was instrumental in establishing the Lee Kong Chian School of Medicine in Singapore, leading Imperial’s work on the collaboration with Nanyang Technological University from 2009 and serving as the School’s Senior Vice Dean from 2013 to 2015. In recognition of her contributions, she was awarded the Nanyang Education University Gold Award and conferred Fellow of the Teaching Excellence Academy, Nanyang Technological University, Singapore in 2015. She was awarded the Imperial College Medal for outstanding leadership in 2014 and the President and Rector’s Award for Outstanding Contribution to Teaching Excellence in 2013. She won “Mentor of the Year” at the national Women of the Future [WOF] Awards in 2011 and has gone on to be a judge for the WOF awards. Her current research interest is in the use of advanced simulation in medical education and she has previously published in the field of reproductive medicine. She remains clinically active as a gynaecologist.